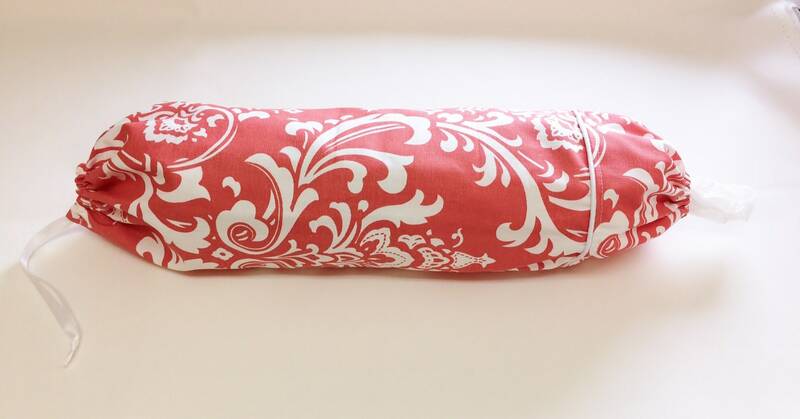 You will love your coral Plastic Bag holder. Designed to help you organize all those plastic bags into one convenient location! 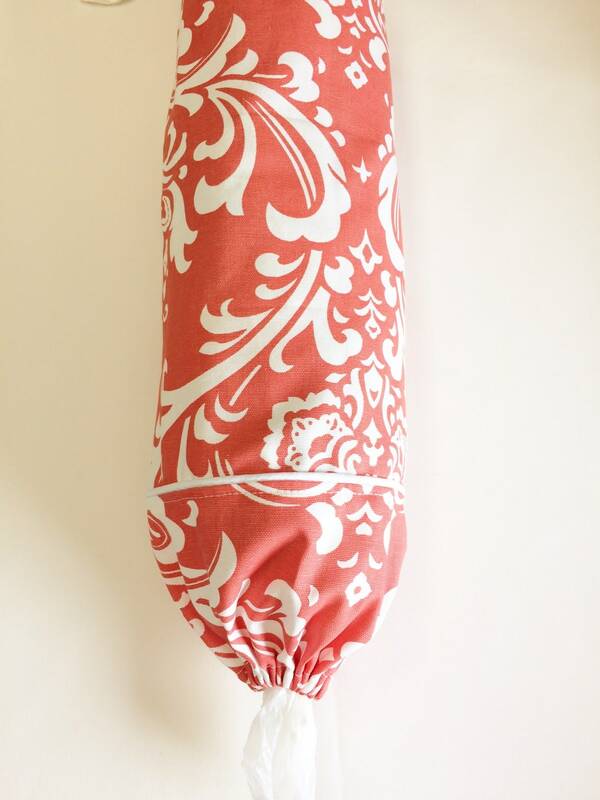 You can fill it with 35+ bags, making this the ideal grocery bag holder. 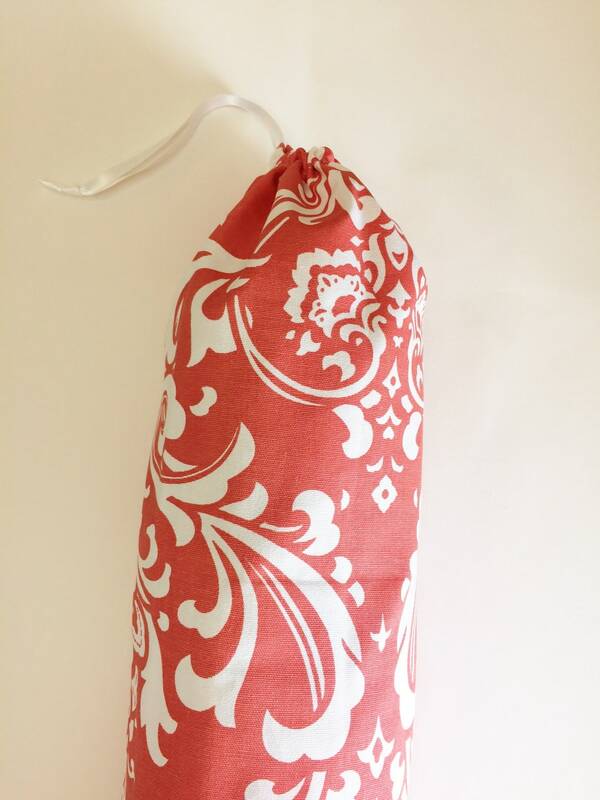 Easy to use, this grocery bag dispenser is filled from the top, pull the ribbon to close and simply hang up. When needed, simply dispense one bag at a time from the bottom opening. Created with a designer fabric, featuring a ribbon closure that doubles as a hanging loop, a white piping accent and an elastic bottom opening. 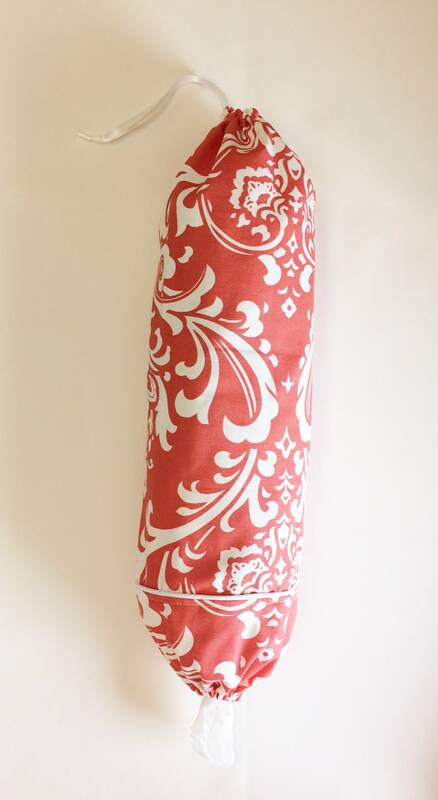 Each grocery bag holder measures approximately 22" inches long with an elastic opening in the bottom for easy dispensing of your bags. 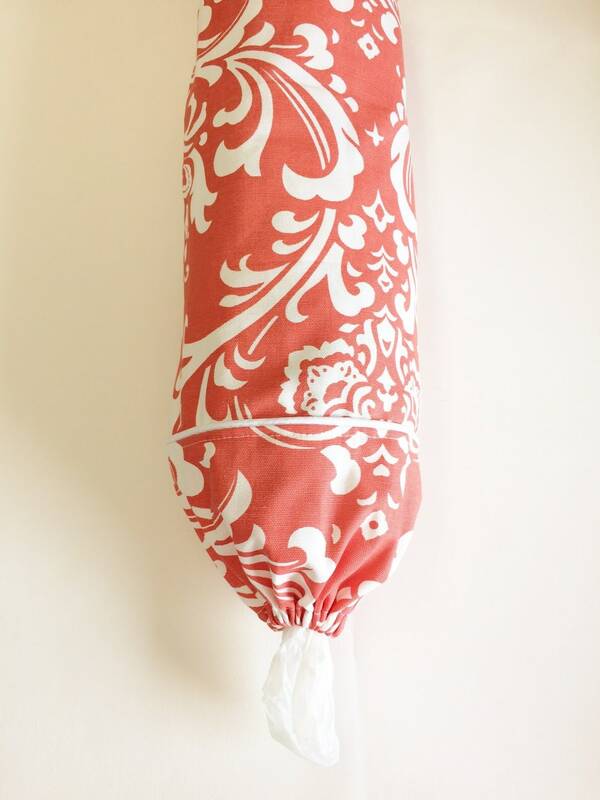 This coral bag holder is the perfect solution to your plastic or grocery bag kitchen storage needs. Once your order is received, it will ship the next business day. We will send you tracking information once your order is ready to ship, allowing you to track your order right to your home. These make a great housewarming gift too. Why not order one for yourself and one to give, these are ready to ship for you today!